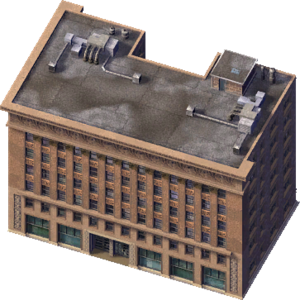 Chicago Retail Stores 7 (Named in the game as just Retail Stores) is a Medium-Wealth Commercial Services Building that grows on only High Density Commercial zones. Miguel LLC uses the same model sets and can be considered a Commercial Offices variant of this building. It is likely based on the Wainwright Building in St. Louis, Missouri, completed in 1891. This page was last modified on 9 June 2014, at 09:52.